Science shows that Canadian Caribou herds are on the decline, not from disease but from the predatory wolf. The wolf population has exploded over the years which have made Caribou herds vulnerable largely due to logging and road building. A controversial plan to cull packs of wolves in order to protect an endangered herd of caribou in the B.C. Kootenays has begun. The cull began last week using sharp shooters and helicopters. Biologists hope to kill about 24 animals by spring. 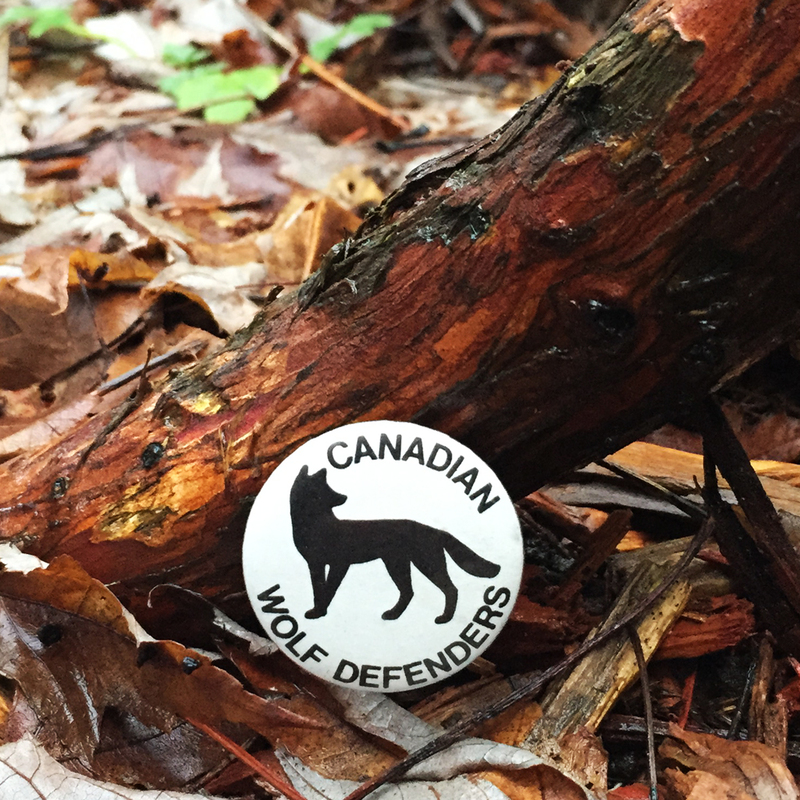 The then Canadian Wolf Defenders was a small grassroots organization who kept count & protected local wolf populations from trappers, hunters and Ranchers looking to protect their live stocks. This fundraising pin back button fell into our lap days before the wolf cull discussion broke out into the mainstream media.